Telecom-industry leaders from around the Arctic came to Barrow this month for a first-of-its kind meeting with U.S. and international experts and officials to talk about how to bring broadband to the circumpolar north, where for the most part it’s unavailable. 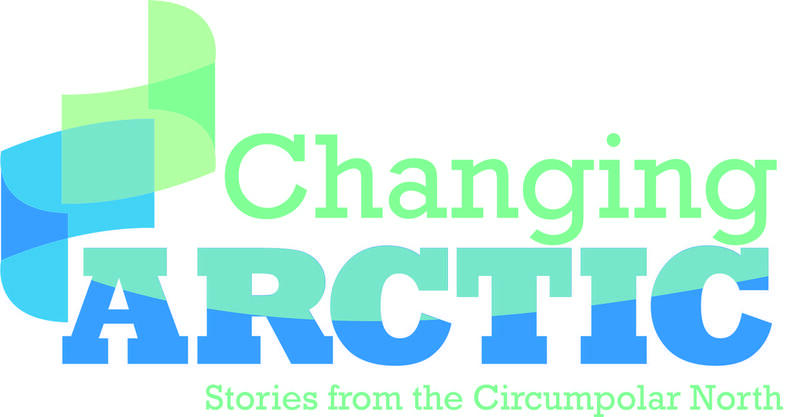 “There are communities across the Arctic that are still waiting to catch up with 21st century technology,” says Tara Sweeney, an Alaska Native corporation executive and chair of the Arctic Economic Council. The AEC is an economic-development offshoot of the Arctic Council. Tara Sweeney, chair of the Arctic Economic Council, speaks to participants in last week's broadband summit in Barrow. Sweeney says the Top of the World Arctic Broadband Summit was the first AEC event to examine the lack of and need for better internet connectivity in the region. “We need to improve our broadband capacity in Alaska and across the Arctic, because broadband is a tool for pan-Arctic economic growth,” she said. The North Slope now depends on satellite-based systems that are expensive and often unreliable for such bandwidth-hogging applications as streaming video, which is increasingly necessary for business, education, health care and entertainment. Sweeney says the lack of reliable and affordable broadband puts people in Alaska and elsewhere around the Arctic at an economic disadvantage. “I’m a strong believer in improving our infrastructure, so that we can provide Alaska residents the opportunity to remain in their communities and have some form of economic growth,” she said. Panelists discuss investment in Arctic telecom infrastructure during the broadband summit. From left: Matt Boyer, senior adviser with Cooper Investment Partners; Bob McCoy, director of UAF’s Geophysical Institute; Michael Perkinson, Guggenheim Partners chief investment officer staff; Krag Johnsen, vice president, GCI Business Operations; Kahled Sedrak, founder and CEO, NxtVn Group; Ronald Eidshaug, vice president of congressional and public affairs, U.S. Chamber of Commerce. 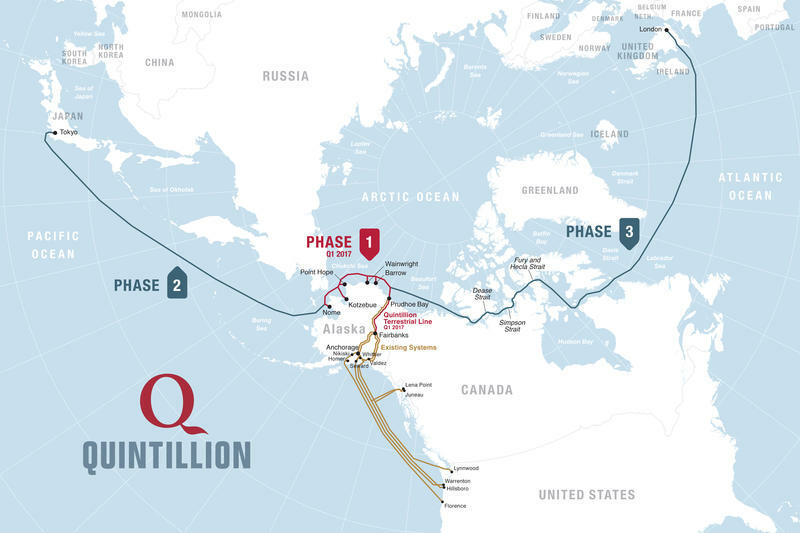 Sweeney says the summit was intended to promote such projects as Alaska-based Quintillion Networks completes a 1,200-mile fiber-optic cable system it’s building to link the North Slope to an existing system that runs from the Pacific Northwest to Fairbanks. Her employer, Arctic Slope Regional Corporation, owns a minority stake in the project. Sweeney says Quintillion executives gave a presentation about the project during the summit, and held fruitful followup talks involving Finland’s former minister of communications who now heads up a telecom based in that Scandinavian country. 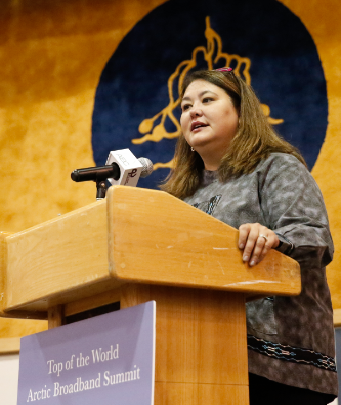 “The two organizations were able to connect and talk about future prospects in the Arctic and potential partnerships,” she said. Telecom executives from Canada also attended the summit, as did representatives of several Alaska Native corporations, the state’s congressional delegation and officials with the Federal Communications Commission, U.S. Chamber of Commerce. Editor's note: This story has been revised for online publication.